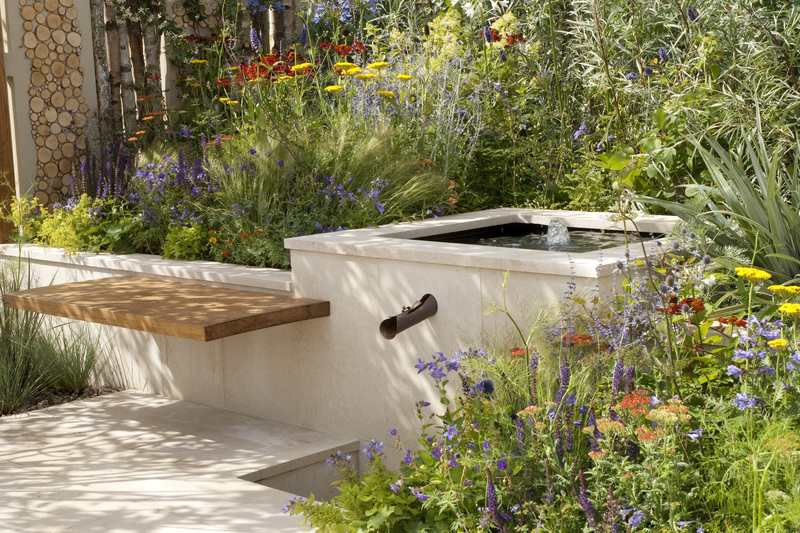 This show garden illustrates how a garden can be shared with nature. Mown paths lead through the garden, through oats (which represent the farm), through wild meadow planting and into more cultivated planting. The feel is of being surrounded by and connected to nature, with opportunities to learn about foraging. This contemporary interpretation of a maze gives an opportunity to connect with nature using all the senses. 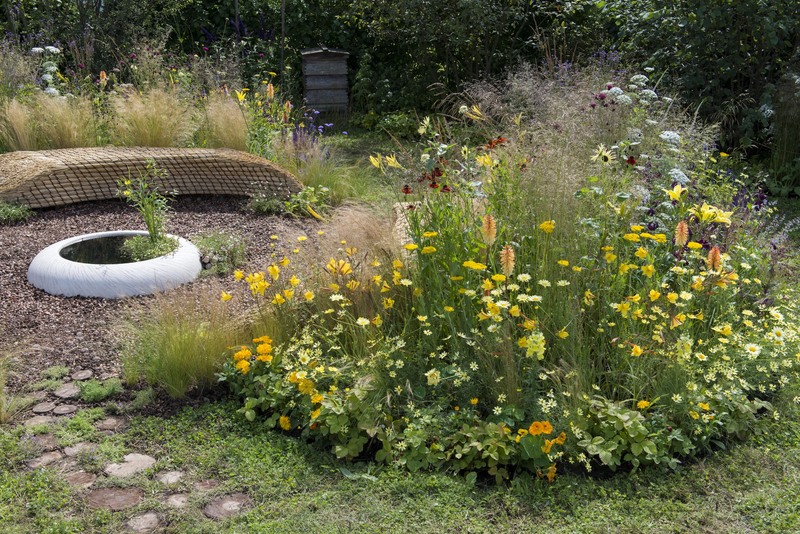 A garden in which to wander and relax which also encourages wildlife and biodiversity. The garden includes foraging opportunities and edible flowers. The garden was later divided up into 4 sections then delivered and re-planted to several inner-city schools.